Georgia: 107K Voters Purged Under "Use It Or Lose It" - Joe.My.God. Even by Georgia standards, the voter purge of late July 2017 was remarkable. In a single day, more than half a million people — 8 percent of Georgia’s registered voters — were cut from the voter rolls. Republican Secretary of State Brian Kemp, an avid supporter of President Donald Trump who has described himself as a “politically incorrect conservative,” oversaw the removals eight months after he’d declared himself a candidate for governor. The purge was noteworthy for another reason: For an estimated 107,000 of those people, their removal from the voter rolls was triggered not because they moved or died or went to prison, but rather because they had decided not to vote in prior elections, according to an APM Reports analysis. Many of those previously registered voters may not even realize they’ve been dropped from the rolls. If they show up at the polls on Nov. 6 to vote in the heated Georgia governor’s race, they won’t be allowed to cast a ballot. Such laws, generally enacted by GOP governments, have been growing more common, with at least nine states now having them, according to APM Reports. 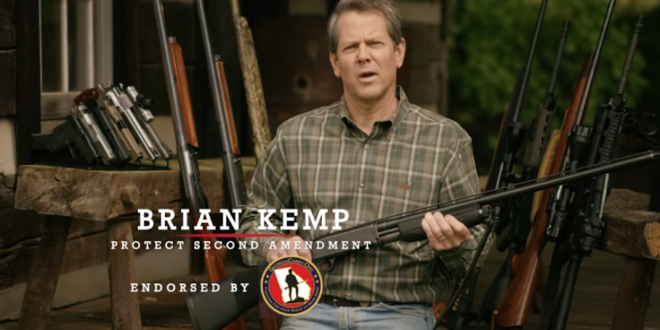 Voter suppression has become a big issue in the Georgia governor’s race, where Republican Brian Kemp is running against Democrat Stacy Abrams. Abrams would become the first black woman to serve as a U.S. governor in history if elected. The nine states now with so-called “use it or lose it” laws are Alaska, Georgia, Montana, Ohio, Pennsylvania, South Dakota, Oklahoma, Oregon and West Virginia.